I wrote 12 books (7 in Croatian and 5 in English) dealing with Yoga, Vedanta and Buddhism. You can buy the three older ones on Amazon or any other store that uses the Ingram catalogue. You can preview the books here by clicking on the book title in the right column. 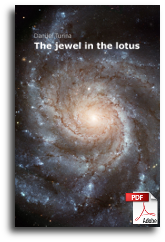 My newest books, "Possibility of the new" and "The jewel in the lotus", are available for download in PDF form for personal use. 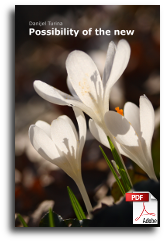 If you want to share them with someone, send the link and not the PDF file, to avoid fragmentation; I want to be able to correct the files if I find errors. PS. : I made the older books available for download for personal use, too. Everything on this website, unless explicitly noted otherwise, is Copyright © Danijel Turina, All rights reserved. No part of this website may be reproduced elsewhere without prior written consent from the author.